R, Sophia and I are like most families who always look forward to traveling together. My girl first rode a plane at 15 months when I didn't have a camera phone yet so there were no documented photos. It was a crazy trip - flight was a day delayed and my baby vomitted her milk during take-off. Yikes! But having to spent the holidays with our soldier daddy for 13 days in the farflung province that is Surigao del Sur, the crazy things that happened were worth it. What we are looking forward to now is to travel by plane altogether. Prayerfully, it will happen soon. This year, last summer, we had a 3-day semi-planned vacation up north. It was exciting as it was the first time that we have been to a new place we've never been before. 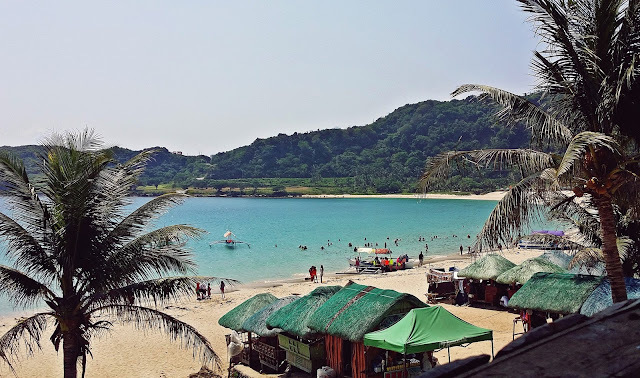 Sure, it was also our first time to see Potipot in Zambales and Hundred Islands in Pangasinan but we went there while we were at R's workplace. You know, it was just due to a spur-of-the-moment, itchy feeling to swim on the beach. But as for our long drive to Ilocos, I booked us a really nice hotel via Deal Grocer a month ahead. We also researched (aka read blogs) on where we should frolic and grab some grub. Just like in all the travels we did, I enjoyed taking photos! I then posted a few on Instagram and later found myself creating a hashtag that would collate all the travel photos so we can easily go back to it for posterity and nostalgia. The hashtag was called #RayalaTravels - by obvious reasons, haha. I didn't re-caption the other travel photos from the past 'cause I want to start anew. It was only this recent that I took photography (and art directing my Instagram) a tad seriously. My dream for my love of photos and travel is to someday own an amazing camera. I am eyeing that pink Fujifilm X-A2 that I first saw on a fellow blogger's Facebook post. I knew that it has an affordable mirrorless camera that is lightweight and has the capabilities of an extravagant DSLR but I didn't know there's pink of it. So yeah, I'm sold. I hope I can save up for it, though. You see, I also need to save up for our travels and more. Ayayay, buhay working class. Hehe. Dreams do come true, I believe! We want to trace our roots in Bicol, get view-high in Batanes, explore Bohol, do some snorkeling in Palawan and eat all the fattening but delicious dishes the Filipino cuisine has to offer. Someday, one day, we'll be in major tourist destinations in the Philippines that we will bravely take the challenge (money-wise, actually) to travel abroad after so. For now, I'll be sharing photos and experiences from our Ilocos trip on a separate post, soon. Promise, before the next summer begins, haha!